The Fright Meter Awards committee has selected Christopher Lee to receive the 2014 Lifetime Achievement Award. Below, committee member Paul Counelis explains why this living horror legend was selected (as if any explanation is needed)! There is perhaps no greater living horror royalty than Sir Christopher Lee. With apologies to treasures like Robert Englund, Wes Craven and Roger Corman, Lee is perhaps the most obvious line to follow when tracing our genre’s lineage back to its classic origins, and it’s all the more impressive when you consider that he is still gracing our screens with new output even at the age of 91. As an actor, Lee has an unfathomable number of credits to his name, with the majority of those emanating from horror and thriller films. He has appeared next to some of the most legendary of greats and more than held his own; often stealing scenes from men whose first names are no longer even necessary, such as Karloff and Cushing. His stirring voice work is also notable, since it is as prominent and well-loved as anyone this side of Vincent Price. His turn as Dracula was great and memorable as to actually spark a legitimate debate between his portrayal and Lugosi’s, which is by itself a noteworthy feat. 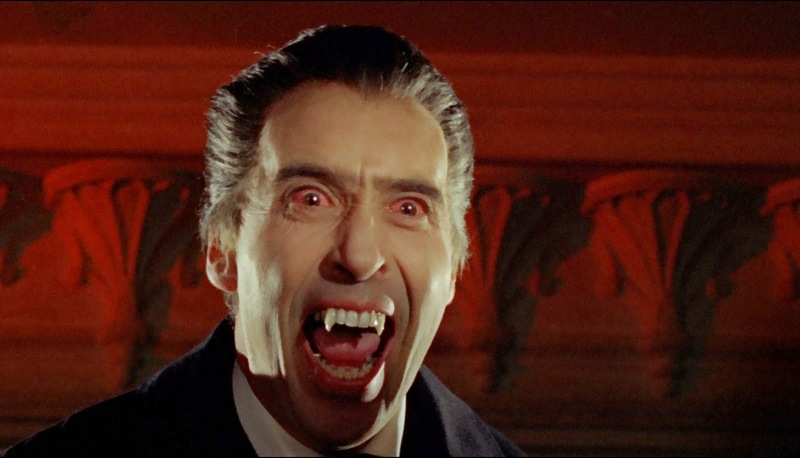 Truth be told, little explanation is really needed for why SIR CHRISTOPHER LEE is this year’s choice for the Fright Meter 2014 Lifetime Achievement Award, but if you REALLY need any, there are 278 of them (and counting) available for your enlightenment in the form of his immortal movies.